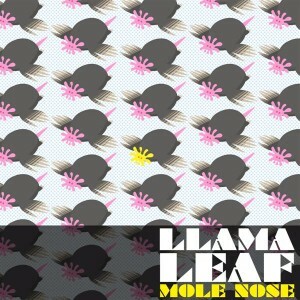 Wonk#Ay Records lurches back into action with Mole Nose, a three track release by the mysterious LlamaLeaf. Focusing on proper chunky techno with bent psychedelic atmospheres, this release oozes with underground vibes, big bass lines, and monster grooves for night-time dance floors. Mastered by OOOD Studio with graphics by Orful Comics. MP3 Download | FLAC Download | WAV Download · Download count: 7,563. Nice release and style !!! How can there be only 4 comments–This is unbelievably fantastic and fresh!! Dont work is my favorite song in the history of eleKtro.